Hi Friends! 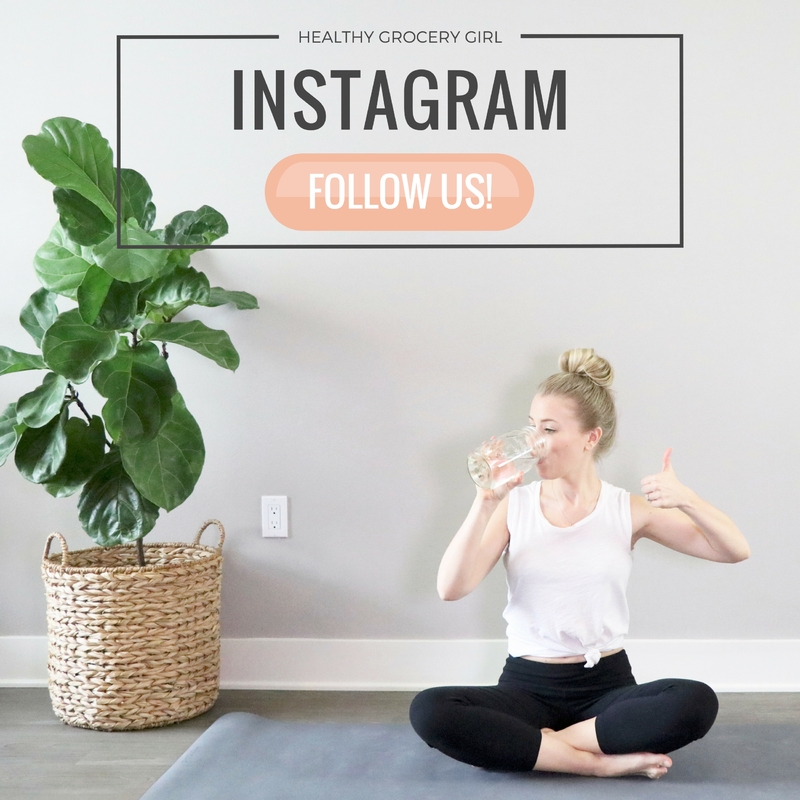 Welcome back to the blog! 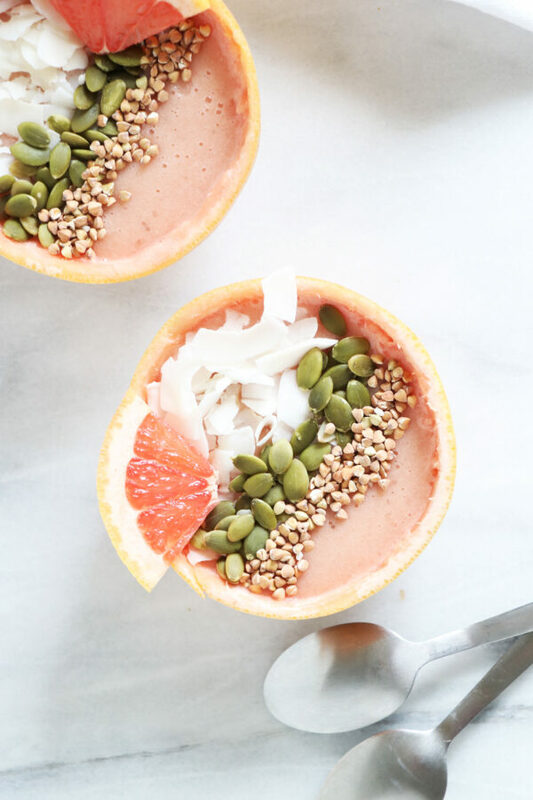 Today I’m sharing how to make Grapefruit Breakfast Smoothie Bowls. 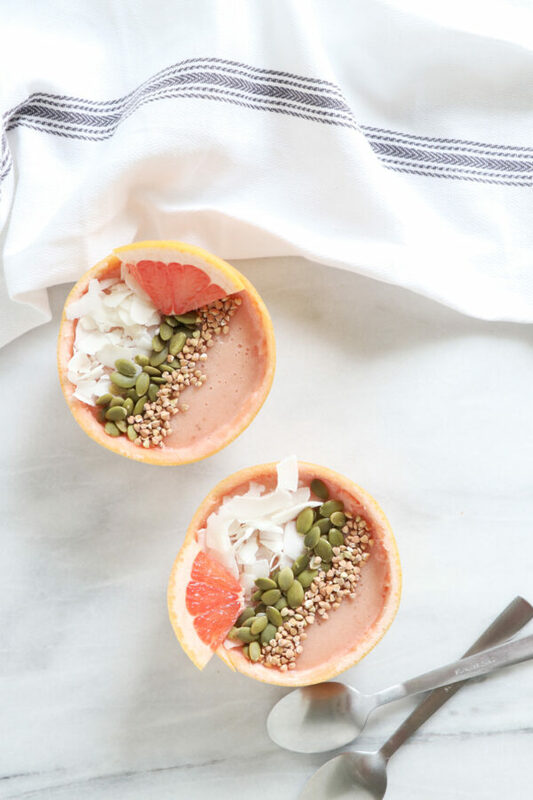 These bowls are perfect for grapefruit fans, smoothie fans or really anyone who believes in celebrating summer all year round!  Made with Limoneira Citrus of course! 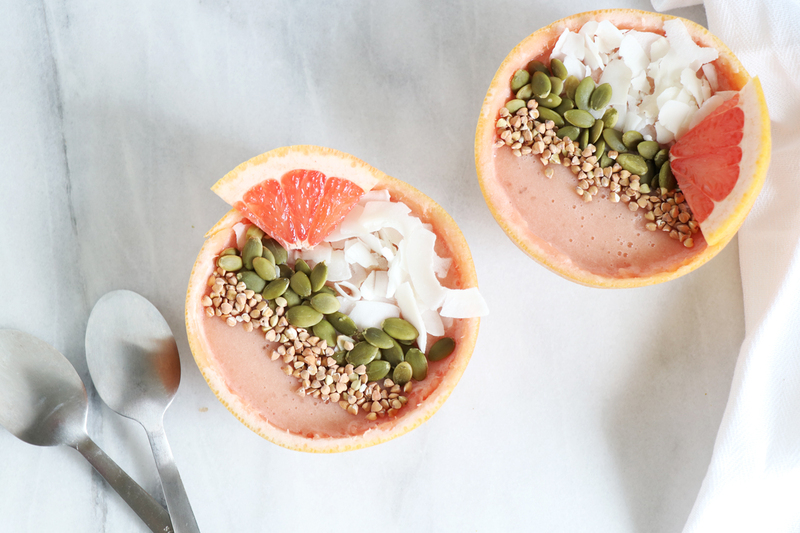 Pour back into grapefruit halves (or use a regular bowl) and top with shredded coconut, pumpkin seeds, buckwheat groats and a slice of grapefruit (or any toppings you prefer)! 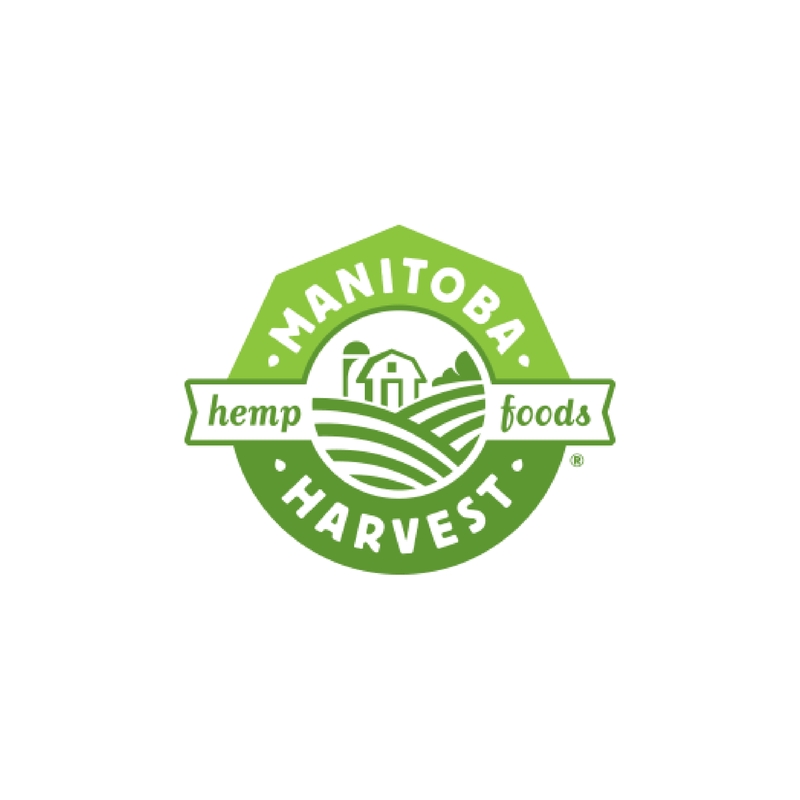 Feel free to place the in the freezer for 30 - 60 minutes before adding the toppings if you prefer a chilled version. 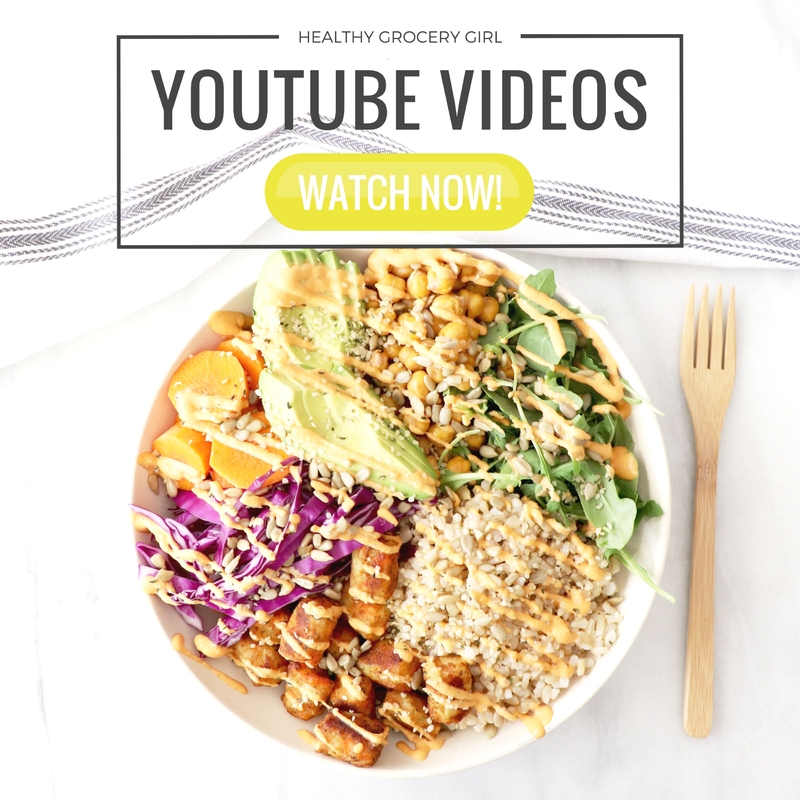 Topping Highlights: Buckwheat groats are a gluten-free seed (that cooks like a grain) and add a crunchy texture on top of these breakfast bowls, like granola without the added sugar! Pumpkin seeds are packed with protein & fiber and coconut shreds add amazing flavor & healthy fats! Optional to add a serving of plant-based protein powder to the smoothie base!